All motorways from highways of federal significance and international highways to driveways within courtyards and village roads. 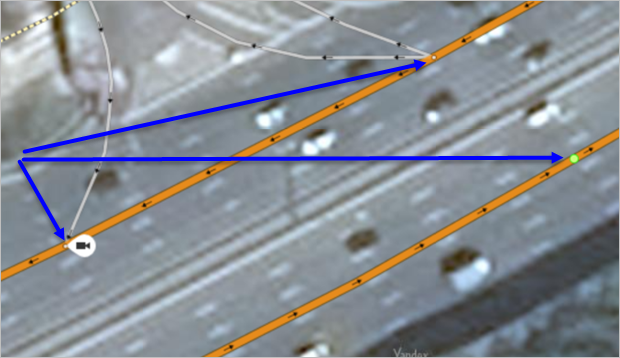 The road on the Map Editor is a composite line that is not drawn on the map, but which is assembled from road sections, each of which is drawn and attributed separately (for more information, see Section 3.3.2. Rules for adding attributes to sections of road). Rules for drawing and adding attributes to sections of road. Road section — this is the smallest element of the road network. It may be either straight or curved and has a beginning and ending point. The values of one of the characteristics (attributes) of the road section are changed (see Section 3.3.2. Rules for adding attributes to sections of road). 3.3.2. Attribution rules of sections. Rules for drawing and adding attributes to roads. 3.3.3. The rules of attribution of roads. Some road attributes (particularly name and class) are entered and edited when you add attributes to a road section. You can also edit the name later in the attribute panel for the road itself. Intersections let you make certain adjustments to the road network. For more information, see Section2.9. Intersections. Additionally, road signs, traffic lights, and speed cameras may be linked to intersections. A road is usually a geometrically unified (connected) object. Of course, there are exceptions to this rule: there may be breaks in a road or a single road may consist of several sections that are separated from one another (although this separation is usually less than two kilometers in length). When editing the road network, make sure that roads that have already been created on the map were not deleted. Other map items may be connected to roads (especially addresses), and these connections can get destroyed if you delete those roads. 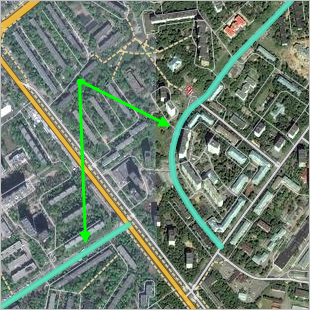 So if the shape of a road is incorrect, you should edit the existing road section (rather than deleting it and starting over).